We are accepting auditions for all voice parts. If you are interested, please visit our “Contact” page and send us an email. Mr. Bell is the arranger of She’s Like the Swallow and he flew in from Calgary to hear our world premiere performance! Mr. Culham composed the Canadian Waters Suite, with the assistance of Paul Knowles (not pictured), who wrote the lyrics. Both gentlemen are members of London Pro Musica. A sincere thank you to everyone who attended the wonderful evening of music at St. Paul’s on June 11, 2017 in support of Project Jericho. Collectively, we raised over $43,000.00! London Pro Musica is proud to announce that we have received the award for “Best Classical Vocal Group of the Year” in the London Music Awards, sponsored by Scene Magazine. For more information about the London Music Awards, please visit the Scene Magazine website here. On December 8th, 2014, LPM presented Dickens’ Christmas Carol, featuring readers Rod Beattie, Martha Henry, Michael Therriault and Brian Tree at Bishop Cronyn Memorial Church. Admission was by donation. It was a packed house – standing room only – and a magical evening for all! The result? A joyous night of Dickens and carols for our audience … and $5000 raised for the Bishop Cronyn community outreach program! Gracious thanks to those who dug deep into their pockets to make this happen. Your donation will make a significant impact in the lives of many who rely on Bishop Cronyn Outreach. 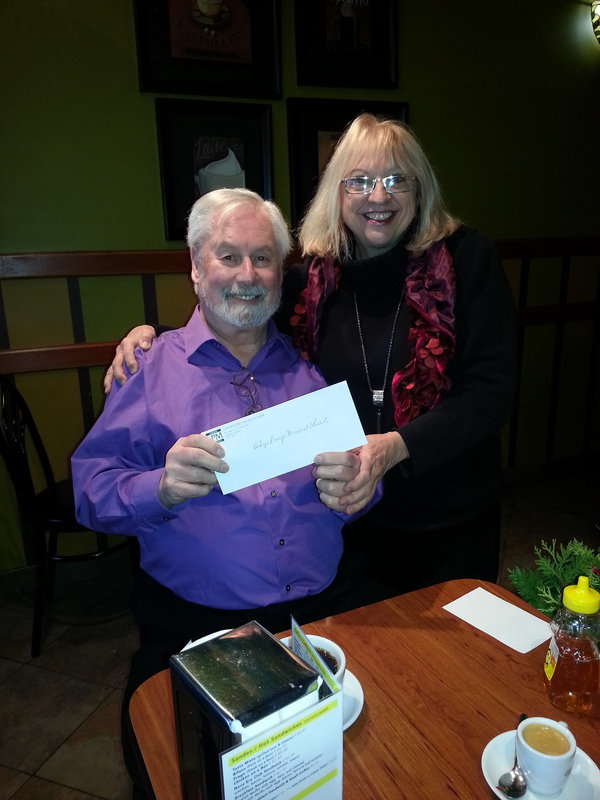 Ernie Redekop is presented with a cheque from LPMC Treasurer, Jenny Nauta.